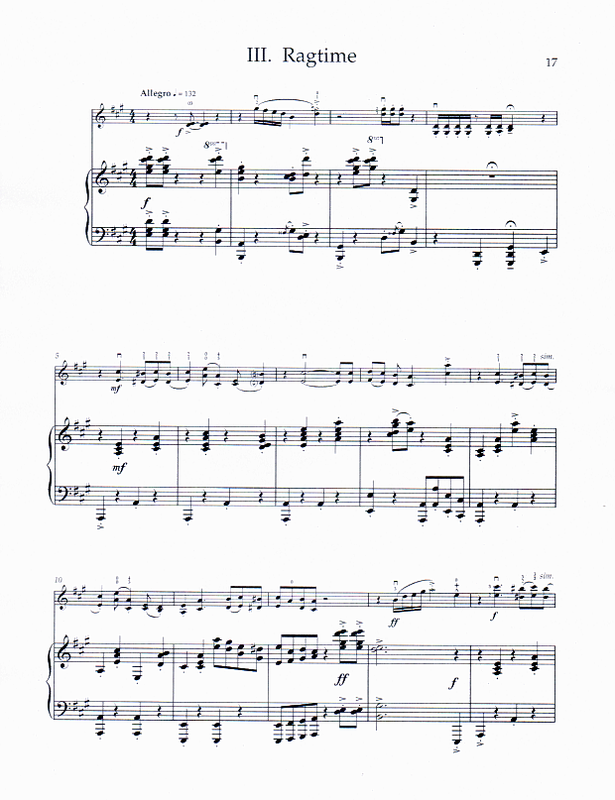 Sonatina No. 2. Written for a young teenage violinist, this sonatina was designed for the advancing student, presenting technical challenges for one progressing beyond the Accolay A minor concerto. The movements present vignettes from a teenage girls life  albeit a teen growing up in the 1920s: Allegretto (Stripling Dialogues); Andante (Young Romance); and Allegro (Ragtime). 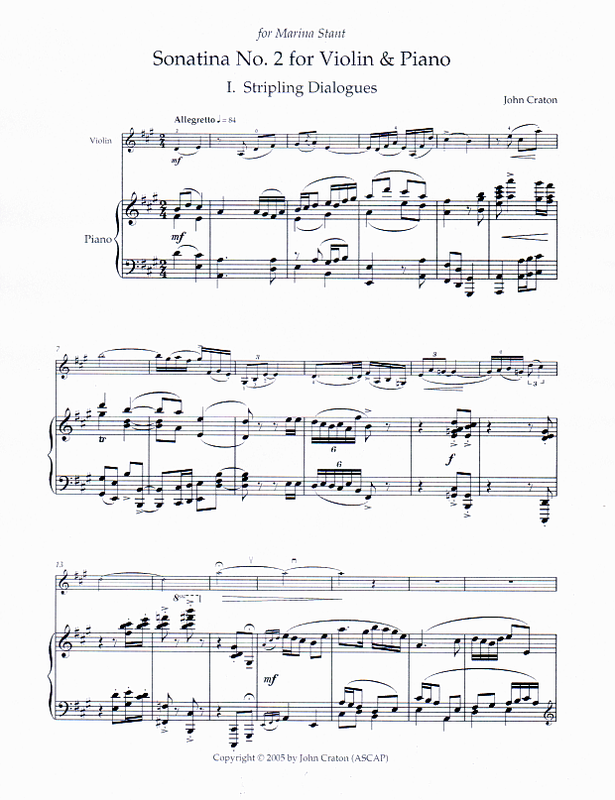 The sonatina is written mostly in first through fifth positions, with brief excursions into sixth. 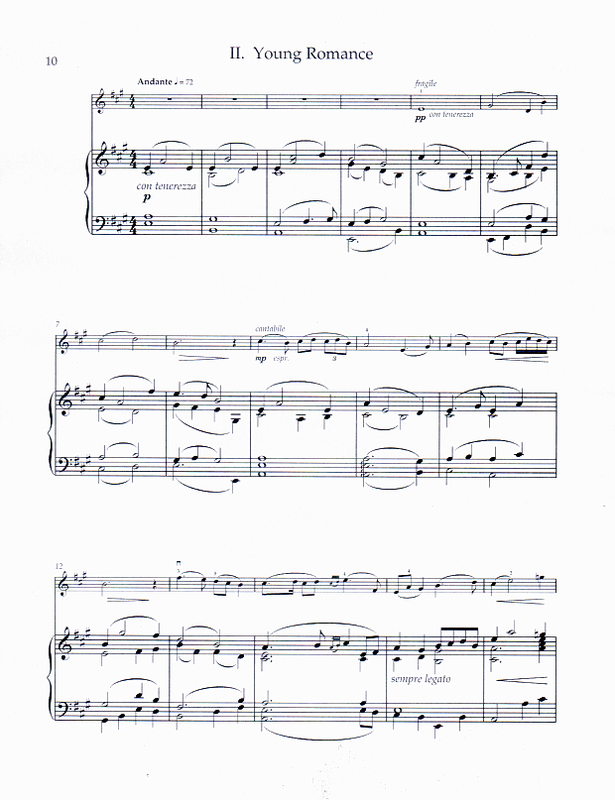 It incorporates most techniques expected of the advancing student, including natural and artificial harmonics, right- and left-hand pizzicato, rhythmic challenges, and frequent double stops. The work may be played by omitting some of the more difficult double stops if necessary, focusing on the melody line instead. It was written for and dedicated to the young American violinist Marina Stant. Performance Time: App. 12 min.